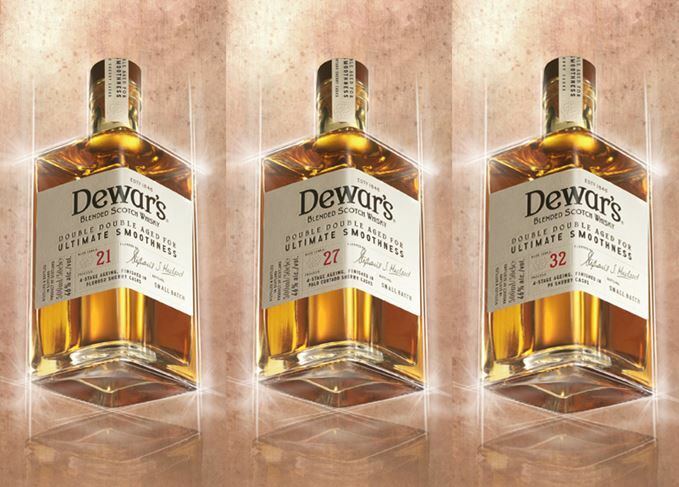 Dewar’s has launched a new series of blended Scotch whiskies created using ‘an innovative four-step ageing process’ named Dewar’s Double Double. The range features three expressions – a 21-, 27- and 32-year-old – which have been launched in global travel retail. Dewar’s Double Double 21 Year Old has been finished in ex-oloroso Sherry casks, and has notes of honey, golden syrup, toffee apples and raisins. The 27 Year Old has been finished in ex-Palo Cortado casks, and has floral notes, along with green fruits and malt. Finally, the 32 Year Old has been finished in ex-Pedro Ximénez casks and has, rich treacly notes of jam and baking spices, with a touch of smoke. All three expressions have been bottled at 46% abv, and are available in Singapore Changi airport for US$90, US$160 and US$250 respectively per 50cl bottle. Dewar’s Double Double is said to build on a blending process the brand claims was pioneered by Dewars’ first master blender, AJ Cameron, in 1901.